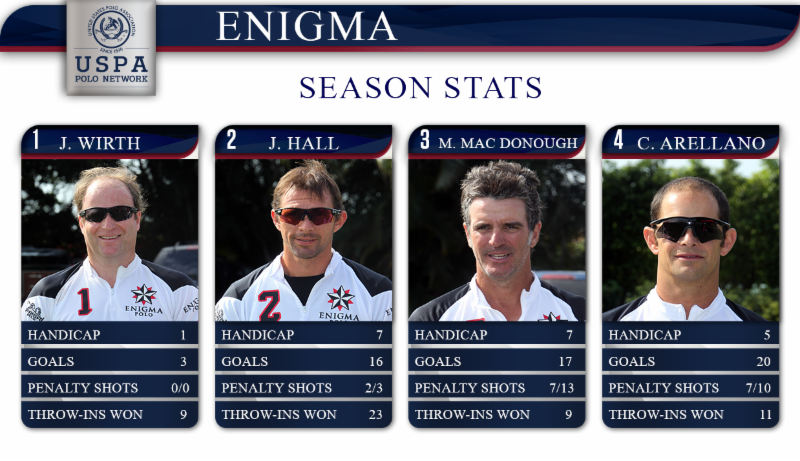 WELLINGTON, Fla. - Feb. 10, 2016 - Palm Beach Illustrated/Technogym defeated Dubai 12-11 and Enigma bested Villa del Lago 11-7 in the Ylvisaker Cup at the International Polo Club Palm Beach (IPC). Nacho Badiola. Photo: David Lominska/Polographics.com. 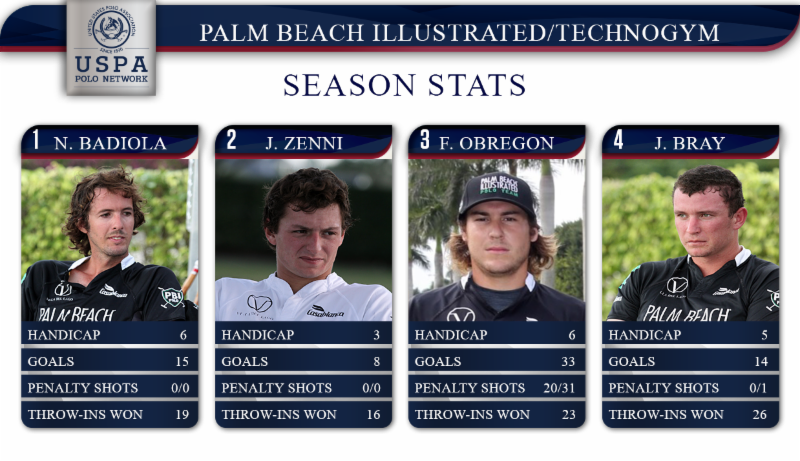 On the heels of the championship victory in the Joe Barry Cup, Palm Beach Illustrated/Technogym edged out Dubai 12-11 in their Ylvisaker Cup debut. All four team members contributed to the scoreboard, with Facundo Obregon leading the way, converting five penalties and scoring one from the field. "We just kept pushing. The first game after winning you always come out a little relaxed, so we had to get our rhythm back and start over," said Obregon. "We started out really well, then we relaxed a little bit, and then they started playing well. They started closing the game, and when we opened the game back up all four of us played well. We're good at speed." The score was either up by one goal or tied for most of the game. 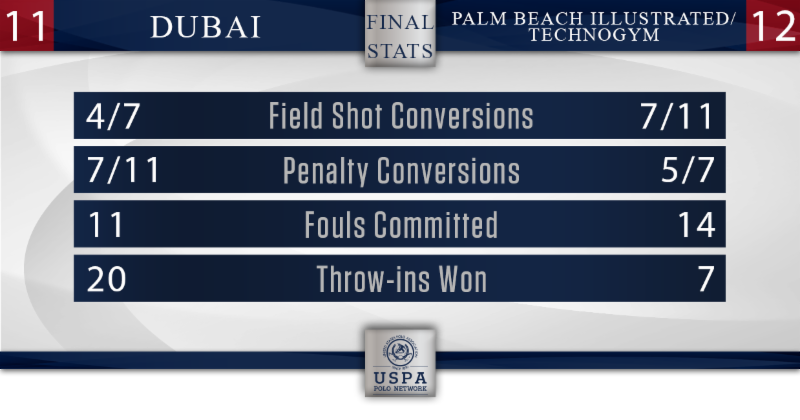 In the final chukker, Diego Cavanagh scored his eighth goal to position Dubai back in the lead 11-10. Nacho Badiola answered with his second goal to tie things up with a little more than three minutes left in the game. Jesse Bray stormed the field about a minute later to score his second and the winning goal. 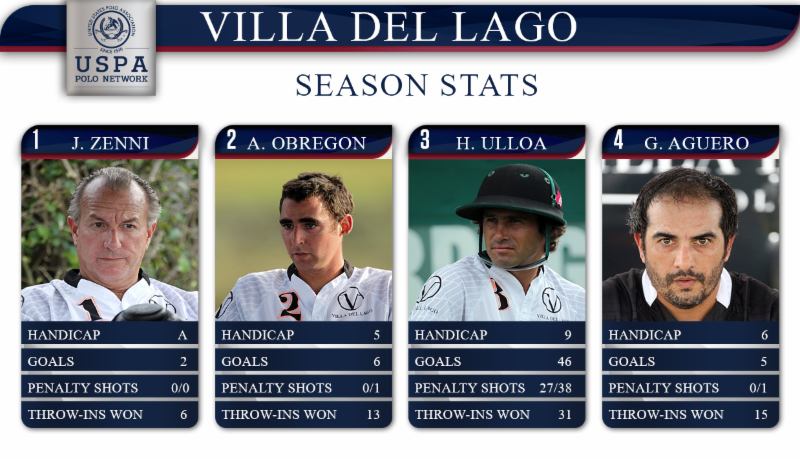 In the other Ylvisaker Cup game Enigma overpowered Villa del Lago, capturing an early lead and seizing an 11-7 win. At first Villa del Lago looked fierce, scoring three goals within the first five minutes of play. Then the game took a turn. 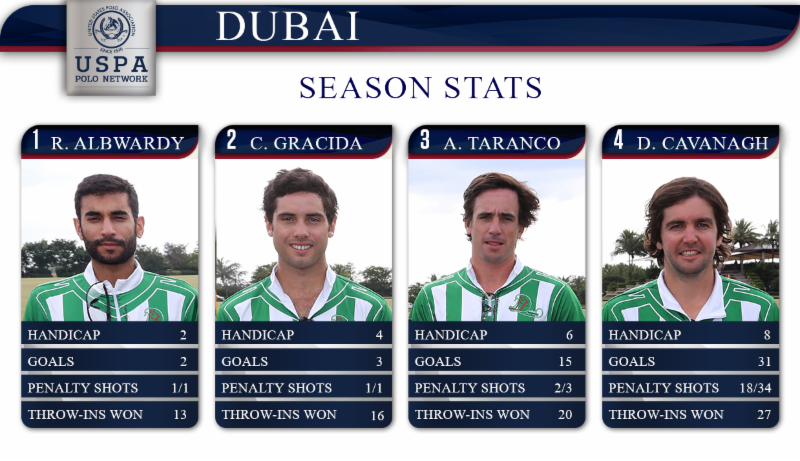 They were scoreless for the two subsequent chukkers and relied heavily on Hilario Ulloa for the remainder of the game. He made six goals, two below his average this season. "I think we were a little nervous going in and excited at the same time," said Carlucho Arellano about the turnaround. "It was key that after the first chukker Jerome (Wirth) told us all to calm down because there was a long way to go in the game. That really helped us." Arellano scored seven goals, three from the field and four from the penalty line. "When I watched the Super Bowl I thought a lot about our penalty shots," he said. "It seems so natural to those guys. They are always at peace, so I try to just calm down. When you shoot straight you pick up a lot of goals that way." In the Bobby Barry Cup Final, Audi/Millarville defeated Tonkawa 13-10. Nic Roldan was named MVP, and Best Playing Pony was awarded to Gato, played by Sebastian Merlos. 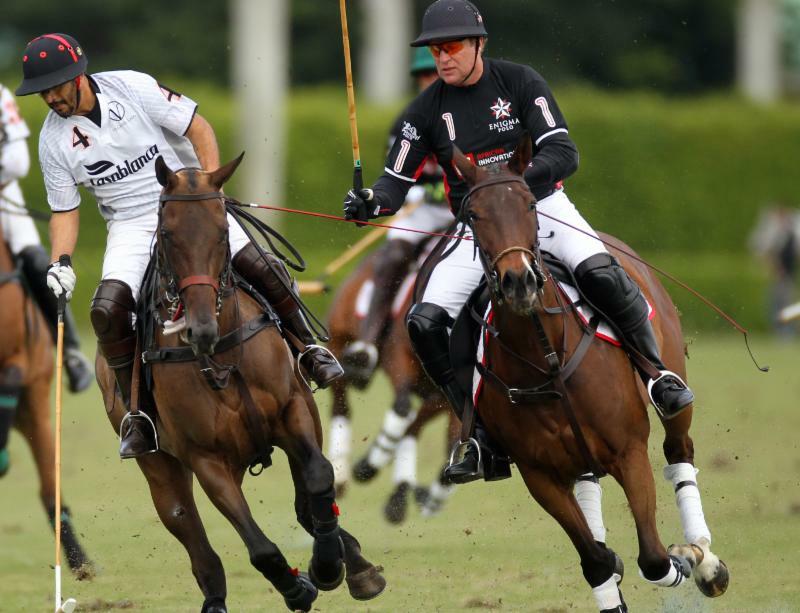 All games were live streamed by ChukkerTV, a partner of the USPA Polo Network. Continuous live coverage of the Ylvisaker Cup resumes Friday, Feb. 12 with three games at IPC: Horseware/5 Star Builders/Tackeria versus Tonkawa (10 a.m.), Dubai versus La Indiana (1 p.m.) and Orchard Hill versus Palm Beach Illustrated/Technogym (3:30 p.m.). All times are EST.